This rose window, which is located at Sens Cathedral in Yonne, France is a wonderful example of Flamboyant tracery. The tracery is made up of curved lines which create a stronger lattice for holding the glass. The curved lines are flame like shapes rather than the straight lines and circles of older rose windows. I envy the fact my husband has seen a lot of these windows in real life. It took hours to be satisfied with the basic layout for just the window, so I didn't include the marvelous framing designs on the top and bottom. I may modify the image later with those. Hopefully you enjoy coloring this one in! Click on the images for larger versions to color. 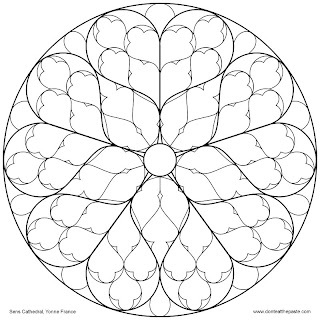 Like with all my rose window designs, you have my permission to use them for crafty purposes as well as just coloring. 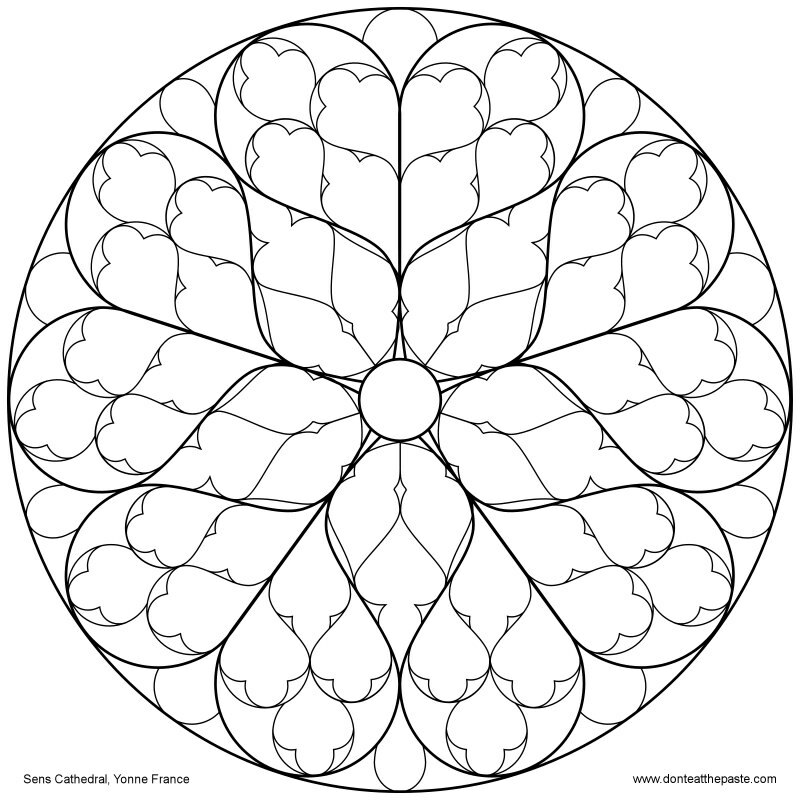 Click on the rose window tag at the bottom to download more classic rose windows to color.